Obituary – Swearingen, Wayne Elwyn « Perry High School Alumni Association, Inc.
Wayne E. Swearingen, one of the most prominent voices of the energy industry, died Monday. He was 82. A memorial service is scheduled for 11 a.m. Friday at Grace Lutheran Church under the direction of Fitzgerald’s Ivy Funeral Home. Swearingen’s six-decade career in the oil industry included work for several companies, but he is perhaps best known for his work as an independent consultant and spokesman for the industry. He was born in Grant, Neb., but grew up in Perry, where he graduated from high school. Swearingen’s first job in the petroleum industry was as a roughneck and roustabout in the oil fields working for Shell Oil Co. 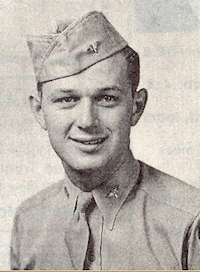 Following World War II service in the Army Air Corps as a navigator bombardier on a B-29, Swearingen returned to the University of Oklahoma, graduating in 1948 with a petroleum engineering degree. He completed the advanced management program at the Harvard Graduate School of Business Administration in 1965. After graduating from OU, Swearingen worked for six years as a drilling, production and reservoir engineer for Amoco Petroleum and then moved on to work with two consulting firms. In 1961, he joined Livingston Oil Corp., also known as LVO, and five years later became its president and CEO. Swearingen directed the company’s domestic and foreign petroleum exploration and acquisition programs. Also, he led LVO to make several offerings of public securities and the company’s expansion into cable television and business services. In 1974, Swearingen signed the papers merging LVO and Utah International, and he walked away to form a consulting firm. He was the founder and a member of the International Association of Energy Advocates, a group that speaks out for the petroleum industry. 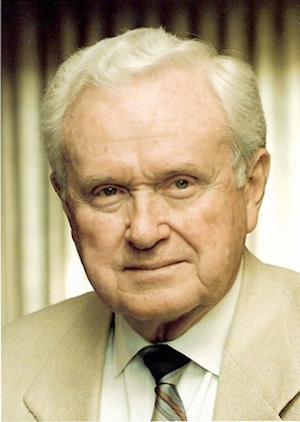 Swearingen was a popular public speaker and was often quoted by the national media, addressing the country’s dependence on foreign oil, tax policy, and environmental issues. The Energy Advocates honored Swearingen for his years of service to the industry with a tribute dinner at Southern Hills Country Club in 1992. Swearingen was the evening’s featured speaker, addressing the importance of energy, economy, environment and ethics. He was president of the Oklahoma Independent Petroleum Association in 1971. He also served on many national oil industry boards, including the National Petroleum Council and as the Oklahoma representative on the Interstate Oil and Gas Compact Commission. He served in leadership posts for a national bank, two public corporations, two family corporations and the National Conference of Christians and Jews. Swearingen’s brother, former University of Tulsa President Eugene Swearingen, died in 2002. Swearingen is survived by his wife of 60 years, Dorothy Swearingen; two sons, Scott and Brett Swearingen, both of Tulsa; a daughter, Lynn Bockmeulen of Tulsa; and seven grandchildren. Friends are making memorial contributions to Grace Lutheran Church.